Nick, or Josh? Josh, or Nick? 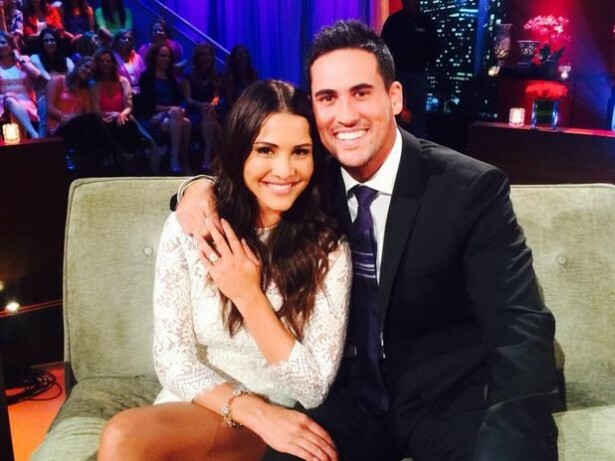 Josh, or Josh…Let’s face it Andi, it’s been team Josh all season. After weeks and weeks of anticipation, we did it. Welcome to the finale of The Bachelorette ladies and gents, where Andi Dorfman must choose between her final two bachelors, Nick and Josh. So who will it be? Nick? Or will it be the tall, dark, and utterly handsome man of a man Josh? I think we know my decision. At the beginning of the episode we find out that whomever Andi didn’t choose has been repeatedly trying to see her, and she has repeatedly turned him down. How many no’s does this guy need to hear? Save your heart and dignity and move on brother! Anyways, we begin the episode with Nick visiting Andi’s family. The poor guy is so nervous he trails his sweat all over the Dorfman’s home. We do know that Nick isn’t shy to confess his love for Andi. He mutters the “L” word countless times, before Andi’s mother starts to tear up. Yes, I’d cry a little too if I was concerned for my daughter’s potential husband. Nick asks Mr. Dorfman for permission to marry his daughter. He says that he would be “O.K.” with having Nick as a son-in-law. Nick and Andi say their goodbyes with a make-out before they will see each other again for their final date. Next we have Josh visiting the Andi’s family. On top of being just as nervous as Nick, Josh is grilled by Andi’s family to make sure he doesn’t live up to the jock stereotype all the Dorfmans have running through their heads. How welcoming. Well Josh, you pass. Andi’s dad does not hesitate to give you his blessings. You can breathe now. For Nick and Andi’s final date, they take a romantic off-roading trip in the Dominican Republic, and then enjoy a picnic in a private lagoon. Nick tells Andi how much he loves her, and she tells him to trust her. Well that was a big mistake- on both parts. Josh and Andi enjoy their final date re-constructing their boat trip from earlier in the season. They snuggle, and kiss, and Andi’s smile is so big I can see her tonsils. Anyone else thinking Josh? I’m thinking Josh. We watch Josh select a beautiful engagement ring for his potential wife, and then things take a dramatic turn. There is a knock on Nick’s door, expecting it’s the ring guy, but instead, hey Andi! Well this is a bit of a surprise. Andi tells Nick that she woke up this morning not feeling right about something, and sorry Nick, that something is you. She apologizes. Nick doesn’t understand. She apologizes again, and Nick still doesn’t understand. At the Final Rose Ceremony both Andi and Josh can’t wait to just splurge out the “I love yous.” In a beautifully constructed speech, Josh melts the hearts of the world, and Andi finally gets the chance to tell him that she has loved him since day one. I’ll be expecting my wedding invitation very soon.